June 24, 2018. I started forging knives in 1989 from springs and in 1993 I found out that they made high carbon flat bar. I did stock removal for a while and now do mostly forging. I forge my knives from a round bar of 52100 that is from 3/8″ up to 1 3/4″ diameter. In the last few years, I have been making a style of knives that I consider both useful and simple in design. 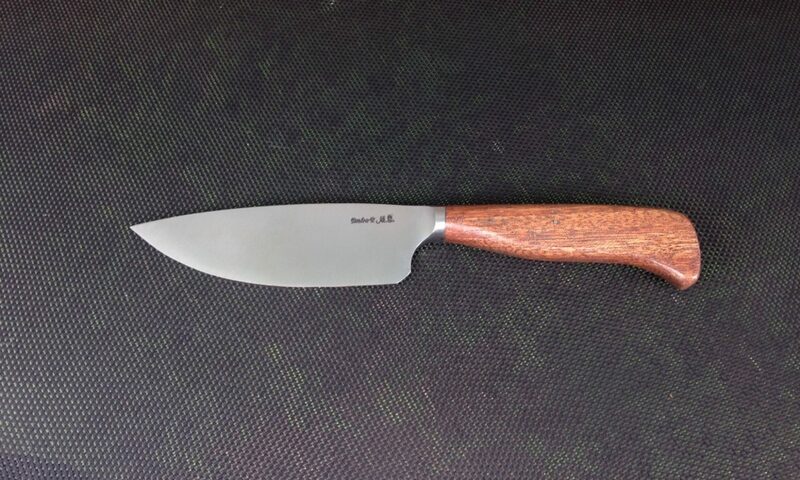 It is also a very beautiful knife style and has recently seen a surge in its popularity. This knife is the integral style knife. Most are of hidden tang construction as that seems to be the simplest design for a using knife. Small handle to metal contact area and less weight when used for long periods of time. It was brought to my attention by Ricardo Vilar, a very good knife maker from Brazil and is now one of my main knife styles. That is one reason that two of the knives I submitted for my Master Smith stamp were damascus integrals with full tapered tangs. In October of 2011, I acquired a large amount of .531″ dia 52100 round bar and am able to make a small integral that cuts as well as the larger ones. This is the steel that came from Dahlonega, Ga. and is the steel of the Trail of Tears model. 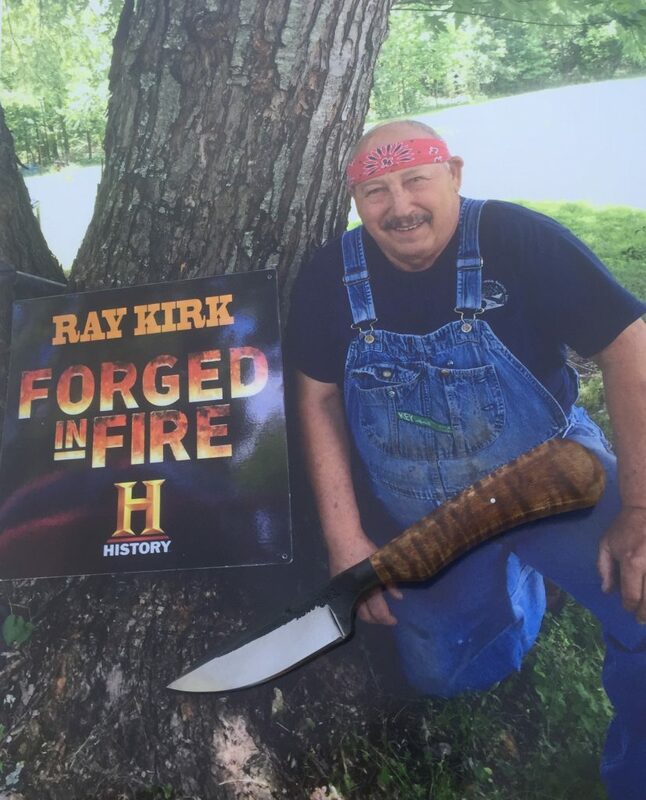 I am a member of the American Bladesmith Society, the Alabama Forge Council, A.F.&A.M., the Knife Group Association, the Kansas Custom Knifemakers Association, the Arizona Knife Collectors Association, and the Cherokee Nation of Oklahoma. I also try to attend many of the hammer-ins and seminars on knife making during the year. I believe that a Bladesmith should continue to improve and learn all they can to make the best knife they can make. Pictured at bottom of pic is the MINI NDN, a 2 3/4″ blade with OAL of 7″.